← Water for backyard wildlife. Echidnas? Do you have blue flowers in your garden? Have a look to see if you have Blue Banded Bee Amegilla cingulata visitors. I videoed this visitor on Scurvy Weed (Native Wandering Jew) Commelina diffusa flowers this morning. 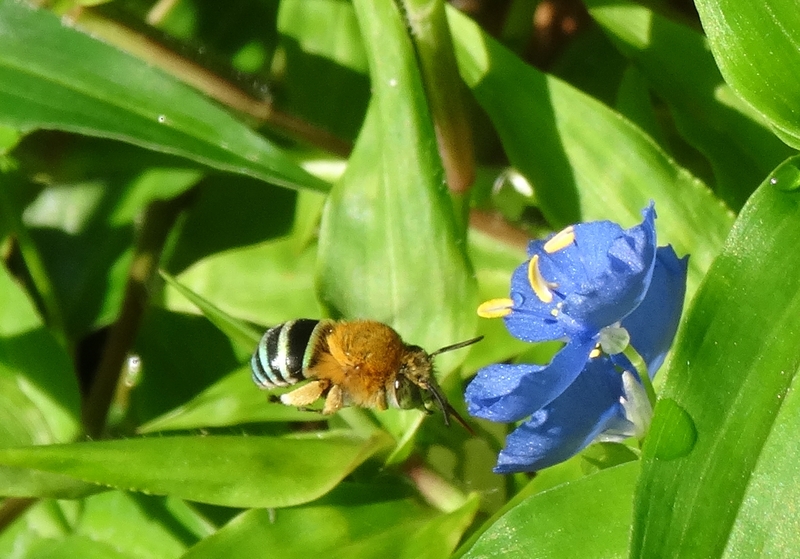 This entry was posted in Photography, Pollinator Link, Wildlife of Mt Gravatt Reserve and tagged Blue Banded Bee - Amegilla cingulata, Scurvy Weed (Native Wandering Jew) Commelina diffusa. Bookmark the permalink.